How Do We Get Faster? 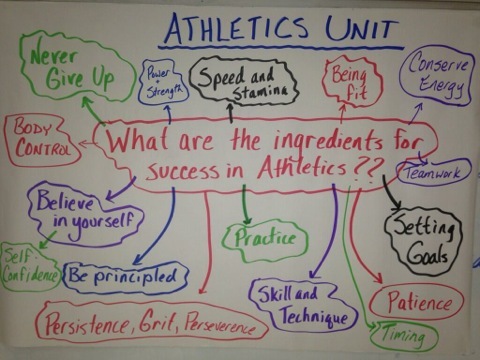 During the ‘tuning in’ phase the students came up with many great ideas about the “Ingredients for success in Athletics”. Andy was keen to ensure the students lines of inquiry were followed though and actually put into a plan of action. The challenge, as always, being the time constraints we face Vs ensuring learning has depth, meaning and value. The students talked about goal setting and practice as the key ingredients for improvement, so we decided that this was a great place to start. We spoke to them about the importance of having a quantitative goal (a time target) for their sprint race, 60m-80m-100m depending on their age, and also having qualitative goal(s) linked to their technique and running style. By writing these goals down and logging them, the students immediately had a road map for success, and with some support from us they created a simple action plan for improvement. The word improvement cropped up more than any other in our discussions. In fact, when answering Andy’s question “Who will be the most successful students?” one student replied, “The Improvers”. Andy wrote this on the white board and it was clear then that the students understood the big idea about success in this short series of lessons. 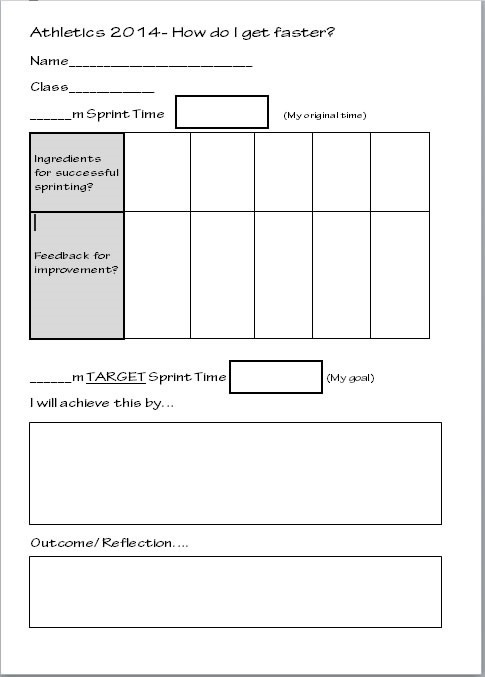 With goals logged, we began to look at HOW we could improve, and immediately the students’ attention was drawn to their sprinting technique. Andy and I had been talking to them about the ingredients for success to make the perfect cake. Our “perfect cake” at this point was a fast, dynamic and effective running style. So we went off in search of this. We also did this by finding a model performance to study, super slo-mo sprinters in action via you tube. Using our new learning from the above, the students began completing their Sprint Learning Logs. 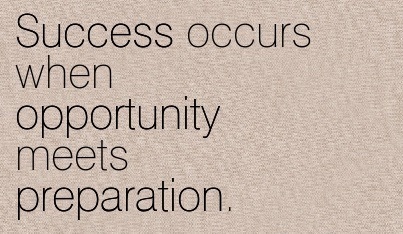 Once they had their goals set, and an action plan in place it was time for them to get to work. With the voices of Bill Glasser and Dylan Wiliam ringing in our ears, we knew it would be beneficial for students to assess and give feedback on one another’s running style. The success criteria. So we tried to ensure this was embedded and visible at all times via their peer observation sheets. How to give effective feedback- we modelled this and talked about what is helpful and unhelpful when providing feedback to move learning forward, thus improving performance. A simple but effective iPad app for allowing students to see a performance with a video delay. We set it to 5 seconds and had a “video analysis” station set up that students spent some time at with the purpose of self-assessment. 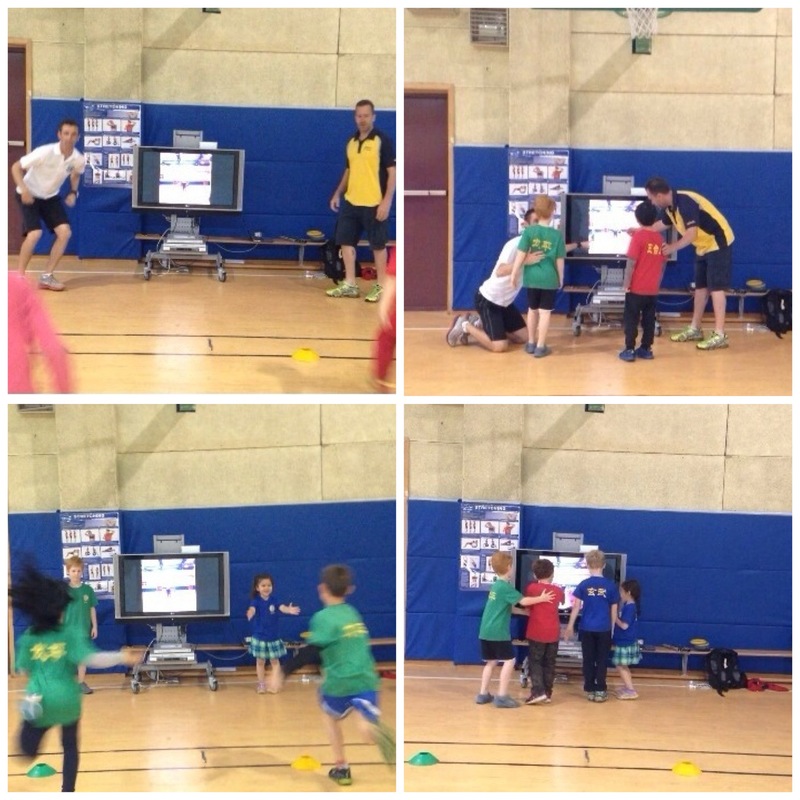 They ran 25 m and then watched theirs (and others) running style on the TV, making notes on what they observed compared with the success criteria. As you can see from the photos, Andy and I began providing feedback to the kids to model this and then we promptly handed over the learning and responsibility to them- this is a grade 2 class! From here the unit could go in a number of directions and Andy has a clear focus on the learning outcomes he wants the students to understand and achieve. The nature of inquiry learning he designs and implements, while ensuring that learning is focused and robust in improving students’ skills, techniques, knowledge, understanding and personal qualities/ values is very impressive. I can’t wait to hear and see where he takes the Athletics unit next, especially with the throwing and jumping activities that lie ahead. For now, I’m just happy to be off the bike for a few days! What a wonderful experience, a sincere thank you goes to Andy for inviting me to be part of the learning here at his school. I’m pretty sure the learning I have experienced will only become truly evident when I go back to my own teaching. He is a genuine #PhysEd superstar. So as teachers, we exist essentially to create engaging and powerful learning opportunities for our students. Anyone with even a long distance view of educational research will know that there are a million things out there which could claim to help you on the road to achieving this. In fact often the ‘noise’ in such areas is overwhelming. Recently, I have been handed the opportunity to visit Nanjing, China to learn alongside prominent PYP PE Teacher Andy Vasily. From the outset, I have been reminded about the importance of the simple act of planning. The awesome quote here from the late American Author (and genius) Zig Ziglar, in many ways describes a key ingredient to Andy’s success. By success I mean, how he enables quality learning, every day, in every experience for every learner in his classes. We know teaching is a very complicated business, and so it’s hard to pin point exactly how this is achieved (otherwise we’d be rich, right?) But it’s clear to see inspiration, fun, surprises, unpredictability, an established set of rules/ strong learning culture and an overwhelming belief in “something greater than simply running around a gym”, lies at the heart of his success. Before I even arrived in China, about 4 weeks prior, Andy started talking to me about his idea for the first set of lessons in the Athletics unit we are co-teaching. The basis of which was to develop qualities in the students like appreciation, grit and determination. All of this through through the humble 100m sprint. This was eventually, ever-so-carefully, planned specifically but not inflexibly involving two #pegeeks, a bunch of excited students and a bike. Take a look what (learning) happened….